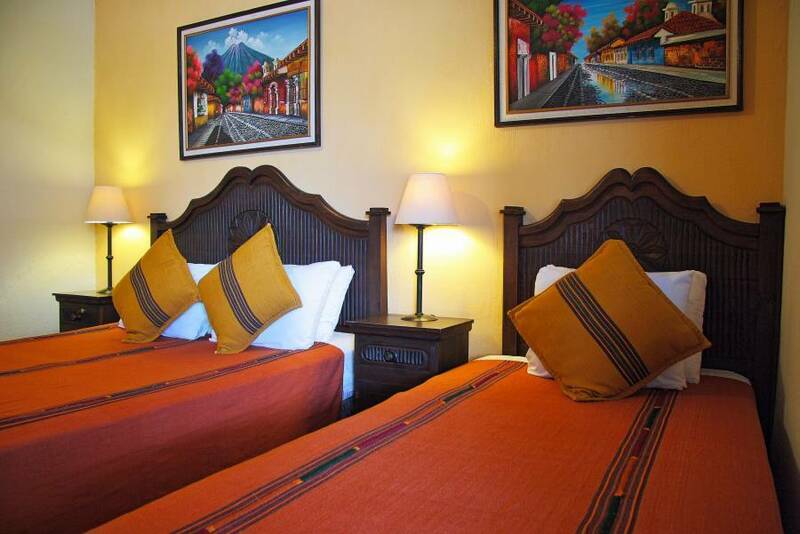 Beautiful budget hotel in Antigua Guatemala, only 2 blks from central park. Our goal is to make your stay as comfortable as possible, while staying within your budget. Free Wi-Fi, Kitchen & more. comfortable ... This was a nice, quiet place. Our room had a great view of on of the old church ruins. Mercedes was friendly and helpful. A few block walk to the plaza and market. A good spot for our family of 4. 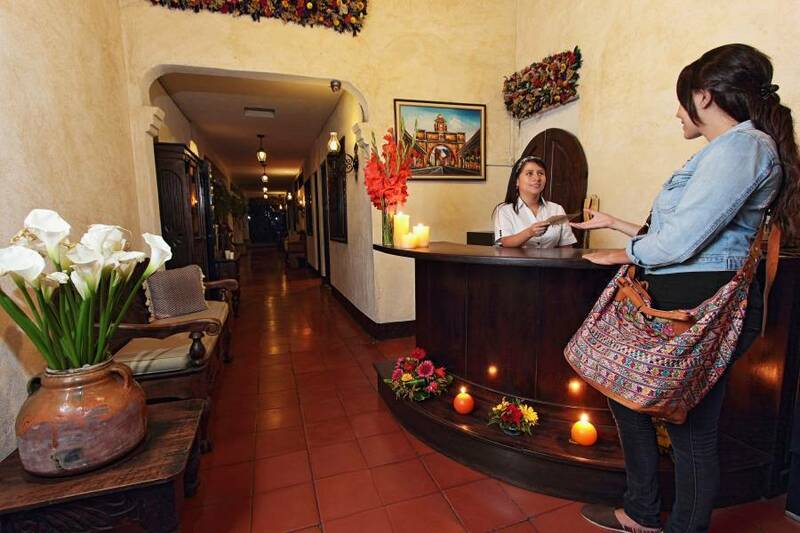 Posada Dona Luisa is a beautiful budget hotel in the heart, of the colonial city of Antigua Guatemala. We offer everything that you could need during your stay in Antigua at a cheaper price. Our goal is to make your stay as comfortable as possible, whether you want to relax or you want to explore the city. Our great location, only 2 blocks from the central park, allows you to be close to all the important sites, & gives you a short, save walk home every night. But, it is far enough away to give you a very peaceful rest. Posada Dona Luisa is a very small tranquil hotel in the heart of Antigua. We offer 8 very comfortable & clean rooms. All with beautiful Guatemalan typical furniture & fabrics. All rooms have cable TV, Wi-fi & new anti-stress beds. 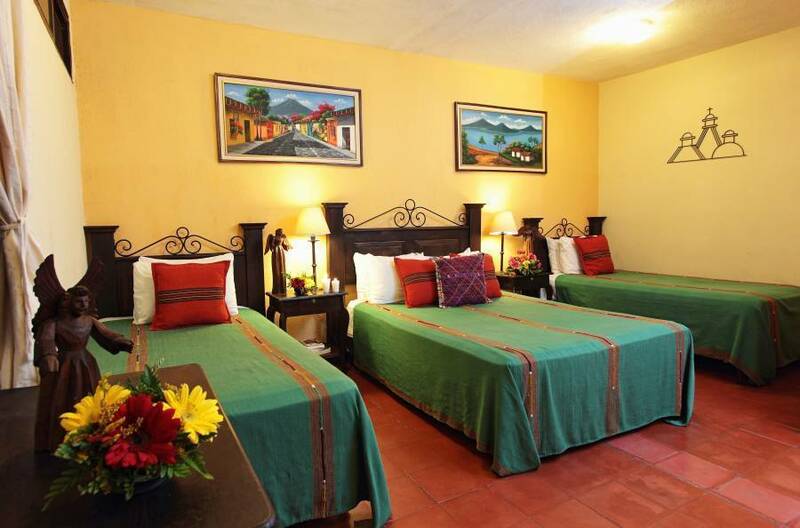 Our rooms & common areas are decorated with beautiful Guatemalan furniture & textiles. They are spacious with lots of light & bright colors. All rooms come with private bath, cable TV, hot water, linens, towels, soap & window views. They all have furniture for hanging & folding clothes. All rooms have many hand carved wood furniture pieces hand forged iron lamps. Some rooms have views of the volcanoes. All rooms are well lit with ceiling lights & beautiful hand made lamps on the night stands, beside all beds. Our garden has many sitting areas for relaxing or reading a good book. It is easy to keep in touch, while you are here, with our free Wi-Fi internet. We also offer a Travel Agency, airport pickup, use of a shared kitchen, laundry service, bag storage, Spanish classes & a large garden sitting area. Our bi-lingual staff will help you with all your needs and give you good tourist info. For families with children, we offer pack-n-play baby beds & a family friendly environment. All rooms come with private bath, cable TV, hot water, linens, towels, soap & window views. Doubles have either 2 double beds or 1 double bed & 1 single bed. Triples & Quads have 1 double bed & 2 single beds. All rooms have many hand made pieces of furniture & hand forged iron lamps. 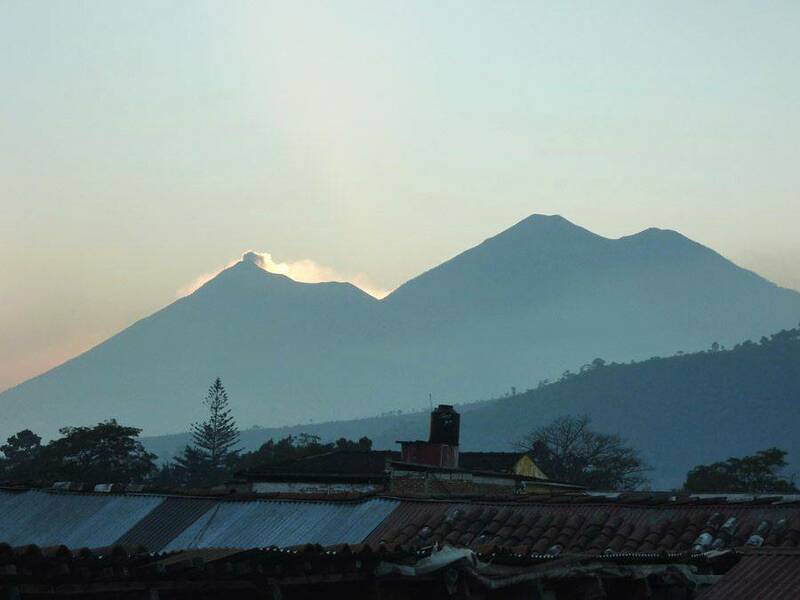 Some of the rooms have views of the volcanoes. All rooms are well lit with ceiling lights & beautiful hand made lamps on the night stands, beside all beds. They all have furniture for hanging & folding clothes. Our bi-lingual staff will help you with all your needs & answer any questions you have during your stay with us. Guests staying three nights or more will receive a discounted rate Day Pass for the pool, $5 per day per person. Regular price is $10 per person per day. The pass entitles you to use the pool and sauna. Pool towels are provided at the hotel. The pool and sauna are located in our sister hotel, Hotel Casa del Parque, a 5 minute or a 3 block walk. The hotel is located close to all the important sites, 1 block from the central park. With in 1 minute walk, there are historical site, restuarants & shopping. Discounts for groups or longer stays directly through the hotel email. If you are planning your own way, from Guatemala City airport, take a shuttle or drive to Antigua (45 minutes) via Calzada Roosevelt. Enter into Antigua, via 3rd Calle. You need to turn left on 6th Ave, go 2 blocks, turn right on 5th Calle, go 1 block, turn right on 7th Ave and in half a block is Hotel Posada Dona Luisa at 7th Ave Norte #4.